On June 13 we announced the beta release of Intel Card extensions that enable all-source threat analysis with our new intelligence partners. We’re proud to announce that these extensions are now generally available to all Recorded Future customers. Many thanks to our beta testers for providing valuable feedback. As a result, we’ve improved several of the partner extensions and added a new one (Nucleon) during the beta program, with others coming soon! As a reminder, below are three key reasons why this new feature is valuable. Reveal hidden connections with all-source analysis. 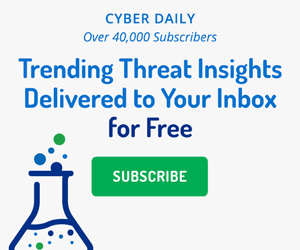 You get on-demand integration of malware sandbox analysis, incident response investigations, finished and intelligence reporting, as well as domain, DNS, phishing, and internet of things (IoT) enrichment — all put in context with Recorded Future’s real-time threat intelligence from the web. This gives you the ability to truly connect the dots across multiple types of information to find threats you previously didn’t know existed. Analyze faster, with an all-in-one view. When you’re reviewing a Recorded Future Intel Card, you can simply click “Look Up” on the card to pull in relevant intelligence from our partners, which is then displayed in the Intel Card. No need to switch consoles or cut and paste information across multiple windows. Initial setup is easy — simply enter the partner credentials once and you are all set. Get more from your existing security investments. Current OMNI Intelligence Partners include Palo Alto Networks, Resilient (an IBM company), FireEye iSIGHT Intelligence, DomainTools, Farsight Security, Nucleon, ReversingLabs, PhishMe, and Shodan. Customer feedback will drive the addition of new partners, and we already have several in the works. If you missed us at Black Hat last week, contact us for a demo! If you’re already a customer, we have many integration support pages on our community site to help you learn more, including a getting started page — or contact your account executive and customer success analyst for assistance.